The best-known endocannabinoid ligands, anandamide and 2-AG, signal at least seven receptors and involve ten metabolic enzymes. 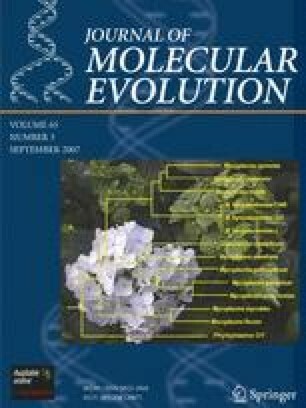 Genes for the receptors and enzymes were examined for heterogeneities in tempo (relative rate of evolution, RRE) and mode (selection pressure, Ka/Ks) in six organisms with sequenced genomes. BLAST identified orthologs as reciprocal best hits, and nucleotide alignments were performed with ClustalX and MacClade. Two bioinformatics platforms, LiKaKs (a distance-based LWL85 model) and SNAP (a parsimony-based NG86 model) made pairwise comparisons of orthologs in murids (rat and mouse) and primates (human and macaque). Mean RRE of the 18 endocannabinoid genes was significantly greater in murids than primates, whereas mean Ka/Ks did not differ significantly. Next we used FUGE (tree-based maximum-likelihood model) to compute human lineage-specific Ka/Ks calculations for 18 genes, which ranged from 1.11 to 0.00, in rank order from highest to lowest: PTPN22, NAAA, TRPV1, TRPA1, NAPE-PLD, MAGL, PPARγ, FAAH1, COX2, FAAH2, ABDH4, CB2, GPR55, DAGLβ, PPARα, TRPV4, CB1, DAGLα; differences were significant (p < 0.0001). Rat and mouse presented different rank orders (e.g., GPR55 generated the greatest Ka/Ks ratio). The 18 genes were then tested for recent positive selection (within 10,000 yr) using an extended haplotype homozygosity analysis of SNP data from the HapMap database. Significant evidence (p < 0.05) of a positive “selective sweep” was exhibited by PTPN22, TRPV1, NAPE-PLD, and DAGLα. In conclusion, the endocannabinoid system is collectively under strong purifying selection, although some genes show evidence of adaptive evolution. The online version of this article (doi: 10.1007/s00239-007-9004-1) contains supplementary material, which is available to authorized users. This work was partially supported by an unrestricted grant from GW Pharmaceuticals, Salisbury, UK.